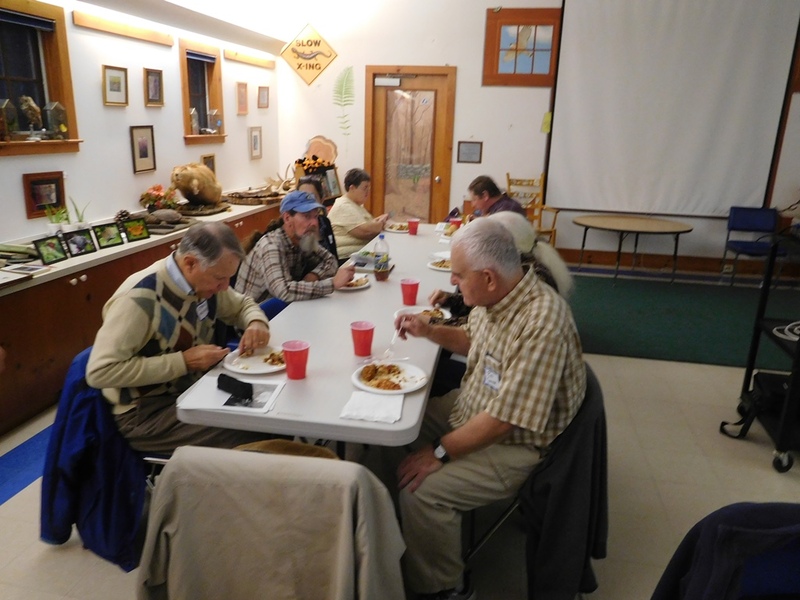 The Fall 2015 Mass Butterfly Club Potluck Supper Meeting was held Saturday, October 24th at the Broad Meadow Brook Conservation Center and Wildlife Sanctuary in Worcester. 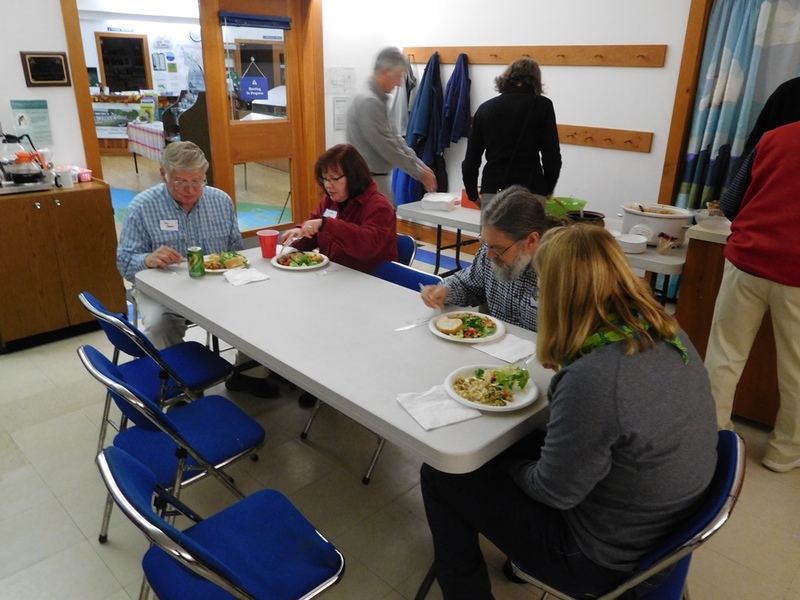 We had a lighter turnout than usual but it was a good crowd. There is construction at the sanctuary so it is possible many got lost on the walk from the street to the center and may still be wandering around. 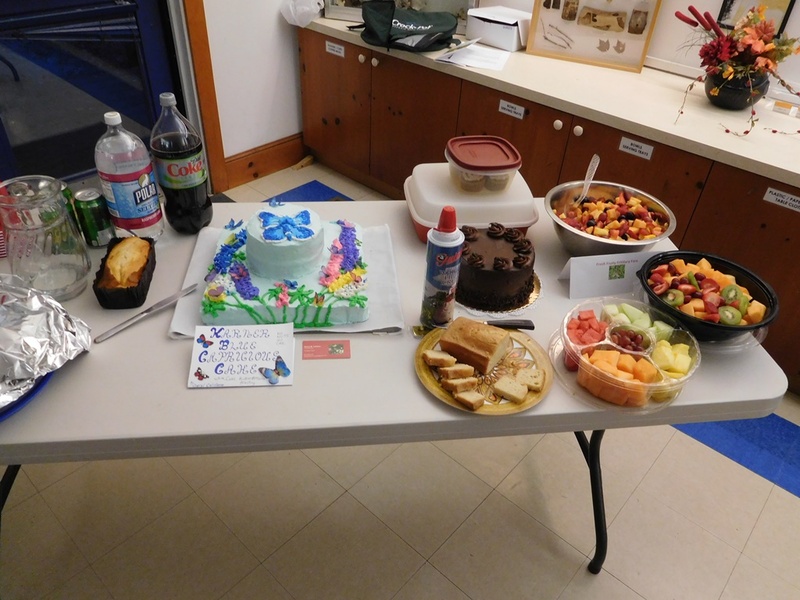 We began with a pot luck dinner with plenty of food and desserts for everybody. Great food again!! Many pounds were gained. Following the dinner, Howard Hoople led the business meeting which included reports on memberships and finances. 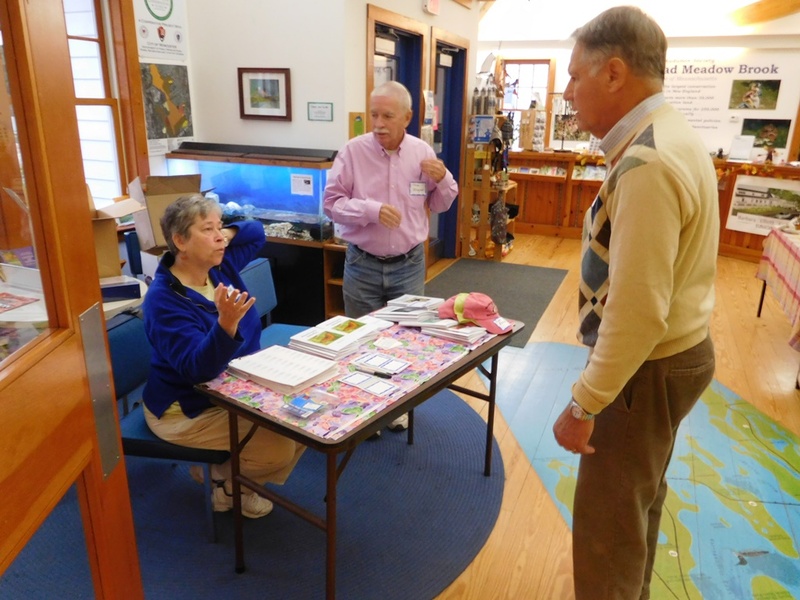 There was a discussion led by Nancy and Bill Callahan about a campaign to designate a Massachusetts state butterfly. There were many ideas on which butterfly we should choose. Several members volunteered to be members of a committee to work on the campaign. 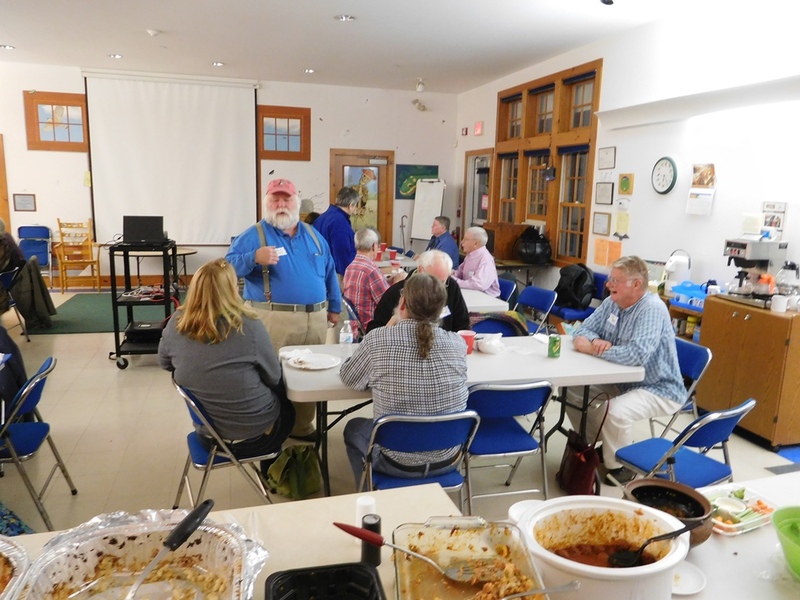 Steve Moore and Elise Barry presented an excellent report and slide show on a trip to Newfoundland in late June. Since the excitement level of the crowd was high from the Newfoundland report, we began the auction. Brian Cassie was the auctioneer with help from Howard Hoople. The big items were butterfly illustrations on lithographed plates that were drawn by Mary Peart who was the main illustrator for W. H. Edwards. 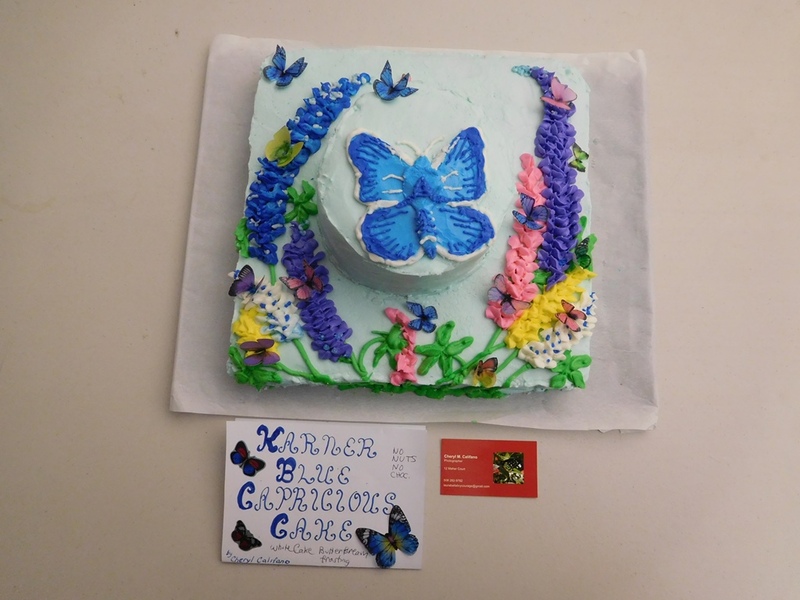 There were many other items donated for the auction including a Scudder article with a Western Skippers print, several books, framed photos, note cards, a butterfly pin, a cane (signed by many members) from the 2006 NABA conference hosted by our club. Thanks to all of the donors and bidders. 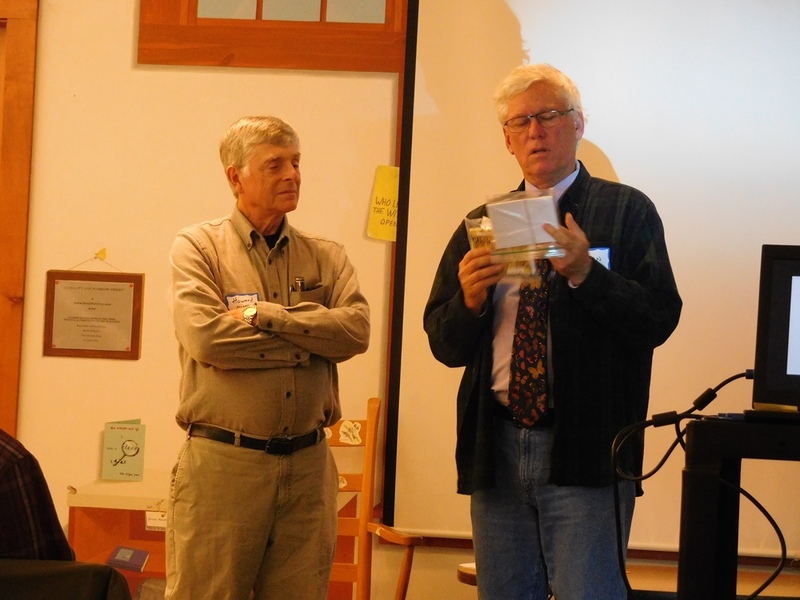 Don Adams shared an interesting and informative history of the extraordinary efforts he's made, and lessons he's learned, raising numerous Baltimore Checkerspot colonies at his home over many years. 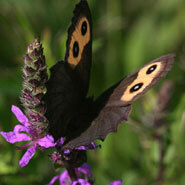 During his endeavors he has invented ingenious methods for raising the butterflies successfully. Thanks to all who volunteered and attended. 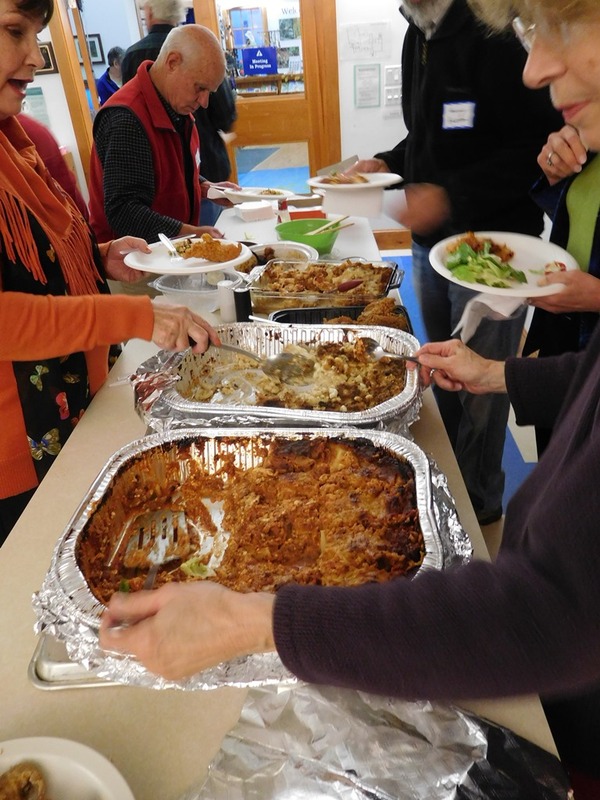 A special thanks to Joey Hoople for stepping in to provide two main dishes and prepare the hot meals.